Karren, I know just how you feel! A break is well deserved this time of year! But I'm happy to see this little darling today ... so vintage, so adorable! He is just the sweetest little guy, Karren!!! No mojo ...same here!!! You have however made a lovely CAS Xmas card!!!! Have a great holiday season and a very Merry Christmas!!!!! Awe, such a cute card Karren! What a darling elf! Hope you and your family have a Merry Christmas! Such cuteness and your coloring is perfect! Have a Merry Christmas! This little guy is adorable peeking out of the stocking! Hoping Santa leaves me some mojo! 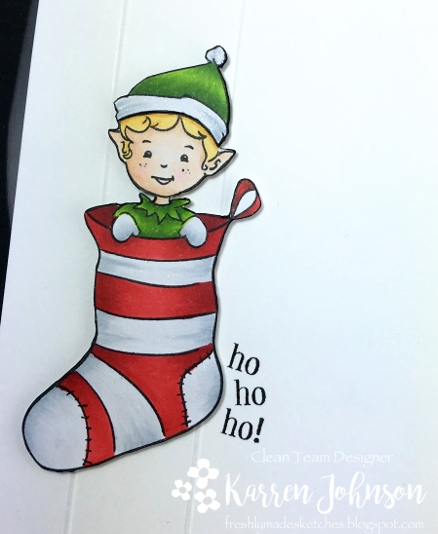 Your little elf is absolutely adorable, Karren! 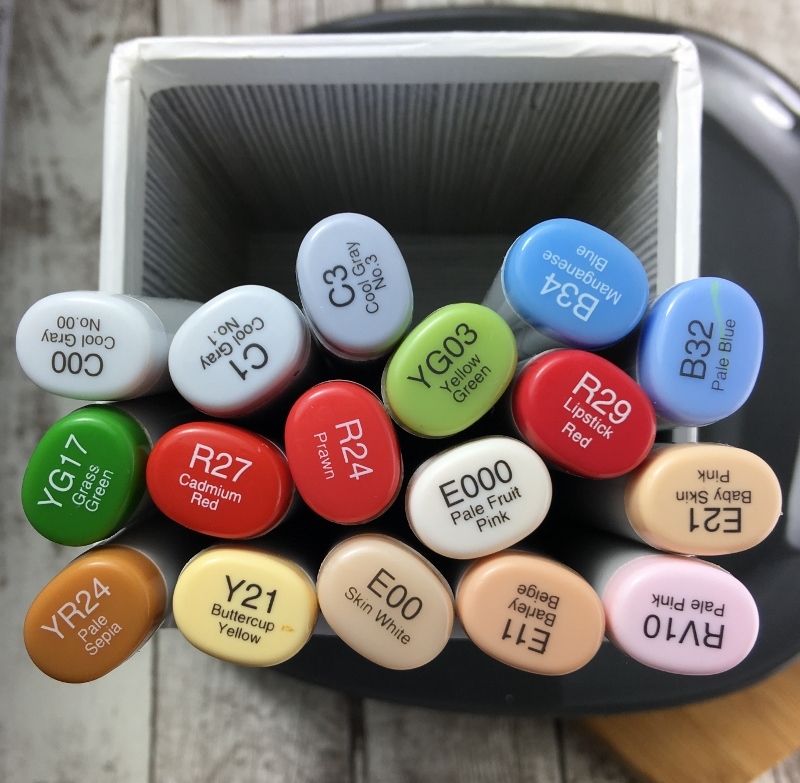 I love how he's peeking out from inside the stocking and your Copic coloring really makes these images pop! LOVE this darling card! Merry Christmas to you, my friend!!! What a fun card Karren! 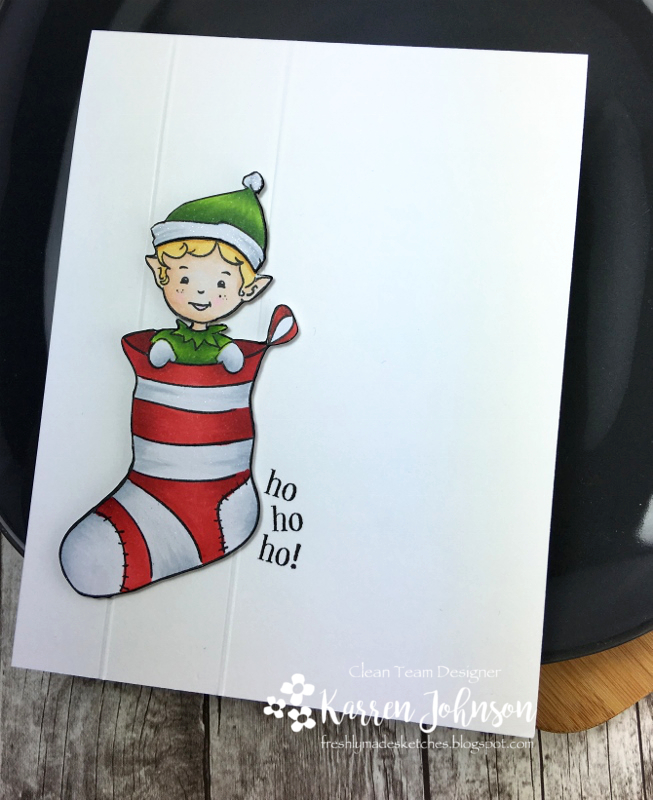 I love your little "elf in a stocking"! Your colouring is so amazing as always! Have a very Merry Christmas!!! Love your card Karen and so hoping you get to have a good break over the Christmas holiday <3 thanks for all you have shared this year. I always look forward to your cards popping up in my feed. I know exactly what you mean about making Christmas cards. I swore I was done with them a month ago and yet found myself making a couple more! Just yesterday I ventured into my craft room to do some organizing and as I gazed at the place where I keep all my Christmas stamps I couldn't help but breathe a sigh of relief that I didn't have to poke through that portion of my stash for a while! 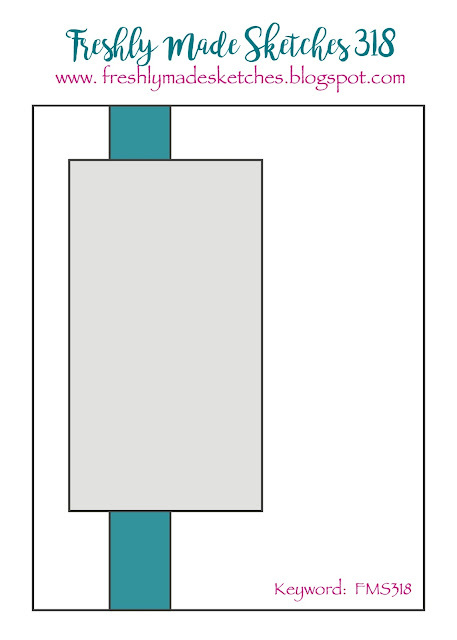 That being said I love the simplicity of this card. The pixie faced elf and his colorful stocking say "Christmas" to me for sure!